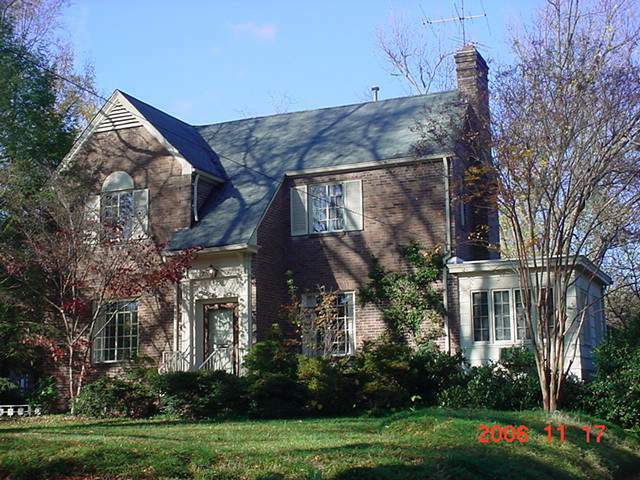 Early 1930s Period House with cross gable roof and brick veneer. Gabled wing on main facade features brick quoins and stuccoed lurette above second-story window. Reserved neoclassical surround at entrance contained in short shed-roofed wing. Metal-framed, multi-paned casement windows..